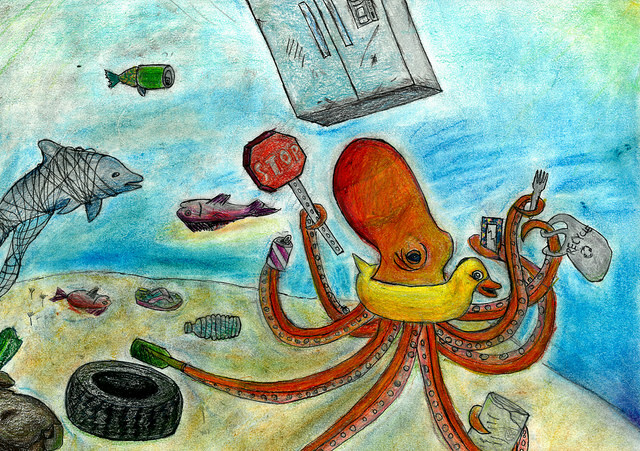 Yufei F., a Michigan fifth grader, is another winner in the Marine Debris Art Contest. More than 450 entries were submitted to the national contest this year. 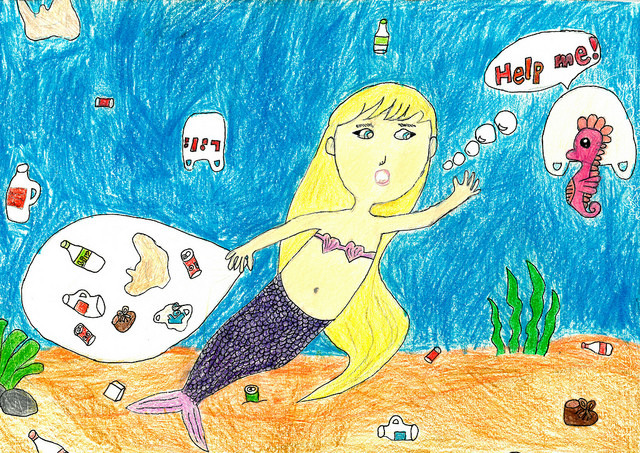 The 13 winning entries will become part of a 2019 Marine Debris Calendar, with artwork adorning the cover and representing each month. The calendar will be available for download later this year. The 2018 calendar can be downloaded now from the website of NOAA’s Marine Debris Program. Entries for the annual art contest are submitted in the fall. Organizers do not release the full names of the winners or even the name of the town they are from, but a first-grade student from Washington state, Lillie H., was listed among the winners this year. 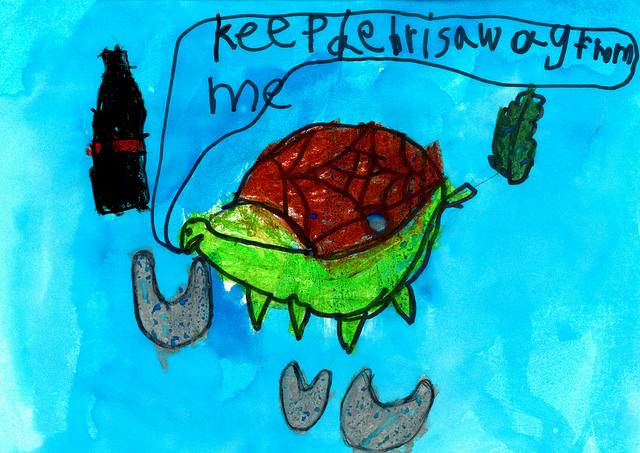 A first-grader from Washington state, Lillie F., is another winner in the Marine Debris Art Contest. Perhaps my favorite picture of all time is still the one entered in 2013 by Minty Little, who was a seventh grader at Fairview Junior High School in Central Kitsap at the time. See Water Ways, March 18, 2013. (Minty’s school released her full name.) I guess the NOAA folks must like the picture too, because it remains the banner artwork for the website promoting the art contest. All 13 winners can be seen in the Flickr slideshow below. 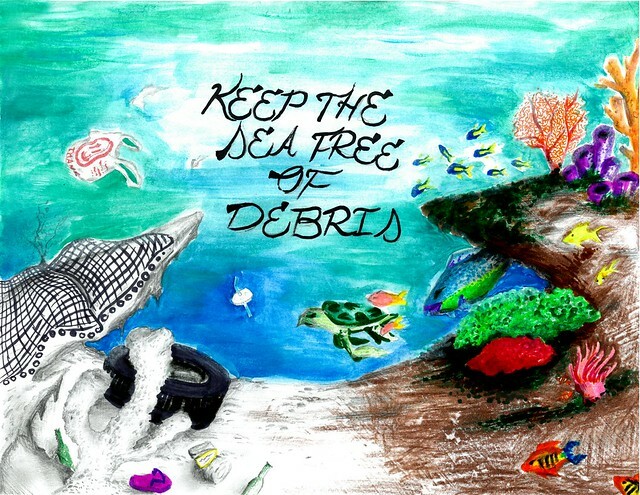 Click on any image to see the artist’s quote about marine debris. For information about marine debris, including graphics and videos, go to the Discover Page of the Marine Debris Program.